You are here: Home / Seafood / Steelhead Trout with Jicama Slaw–Great Leftover! What I love is leftovers you can put together in interesting combinations so they don’t feel leftover. 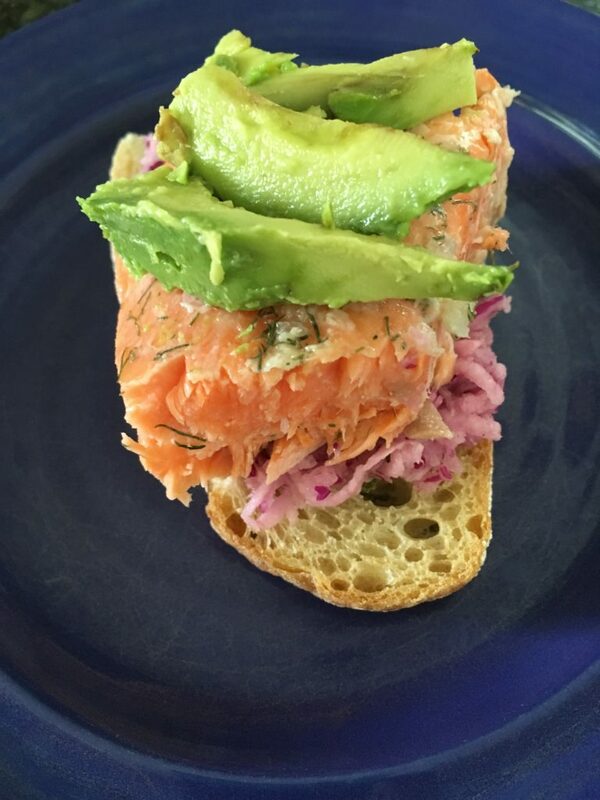 Case in point, this beautiful open faced sandwich from leftover trout. Earlier this week we had friends over for fish tacos. 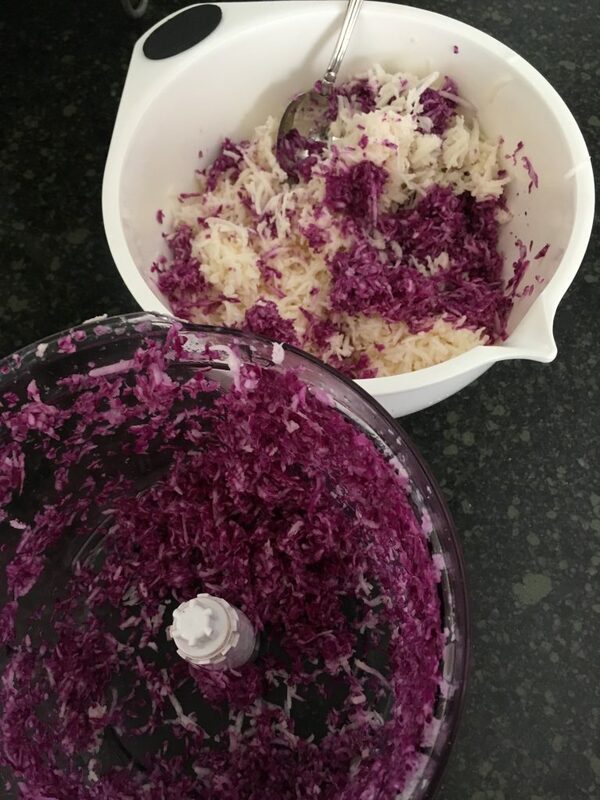 I was inspired by jicama and had been wanting to make some sort of slaw. 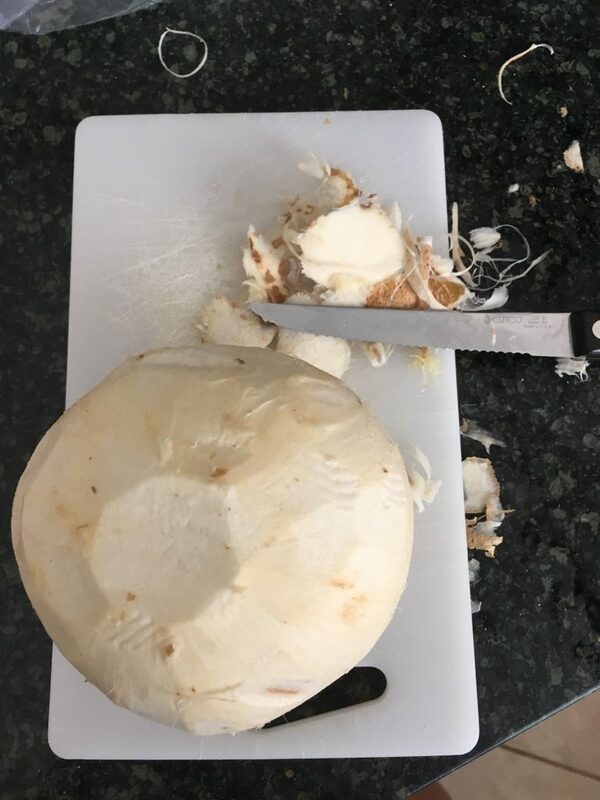 Warning-jicama is a bit tough to peel and slice! Added green onion, cilantro and lemon juice (or lime) garlic, salt and pepper. For the fish, I didn’t have much time. I marinated it in lime, organic EVOO, garlic and dill. Grilled it in foil. Here is what we had left yesterday. 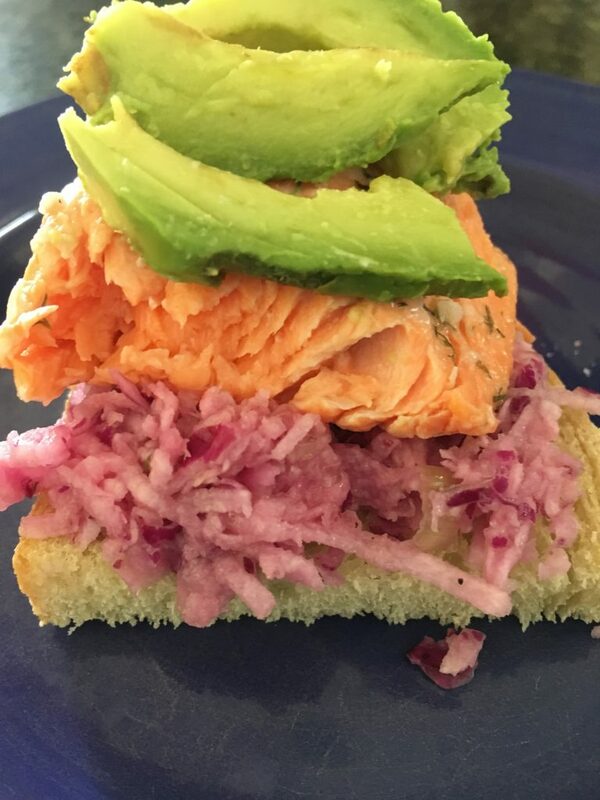 When looking for a quick late lunch idea, I grabbed a slice of French boule, toasted it and added the slaw, trout and avocado. 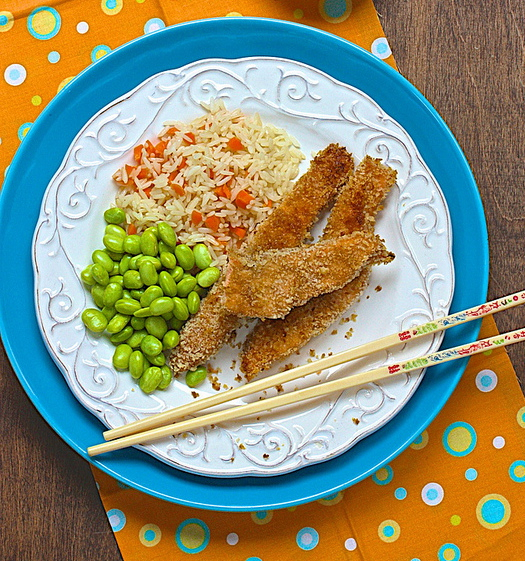 It was the perfect mix of flavors, restaurant worthy and DID NOT taste like leftovers. 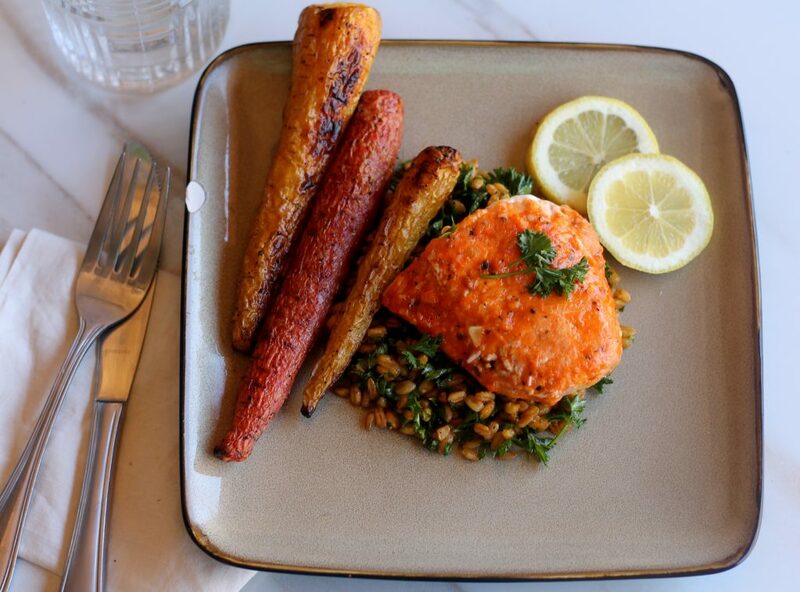 Marinate a 1 to 2 pound filet of steelhead trout or salmon with a combination of lemon or lime juice, olive oil, some generous shakes of dried dill, salt and pepper. Refrigerate for at least 1 hour. (Small filets marinate best in a Ziploc bag. For the large piece I had I put the filet on the foil, poured the marinade on and wrapped it up. 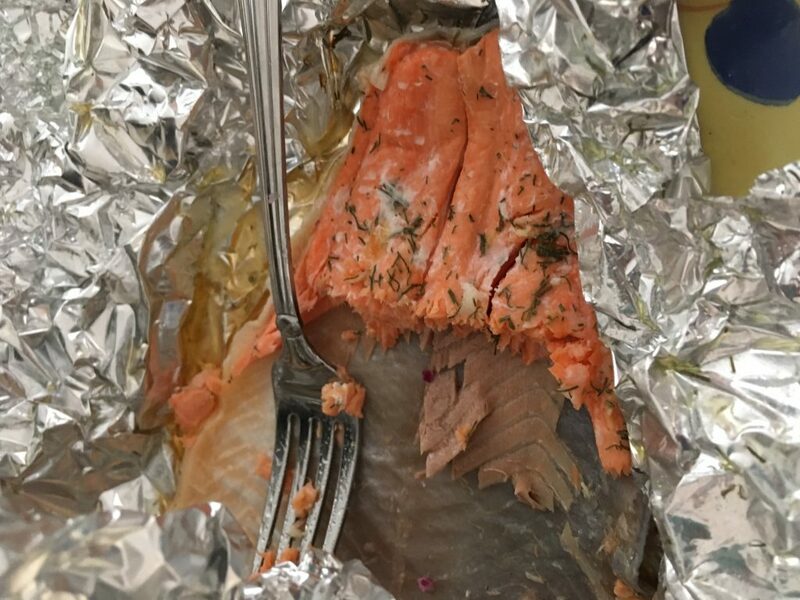 Grill wrapped in foil, 12 to 15 minutes over medium heat until fish is opaque. (I like my fish cooked medium, so I usually take it off just a bit before it’s opaque because it will continue to cook just a bit after you take it off the grill if you keep it wrapped up. 1 medium sized jicama, peeled and cut into once inch slices. 1/2 small red cabbage, cut into 2 inch hunks suitable for putting into feeder of food processor. 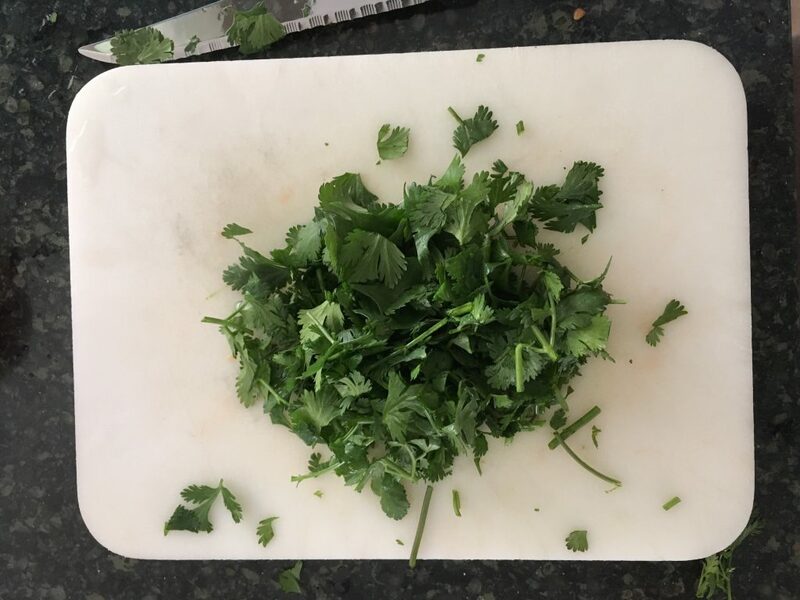 1/2 to 1 bunch cilantro, finely chopped (again, according to your taste for cilantro–you can also sub parsley. 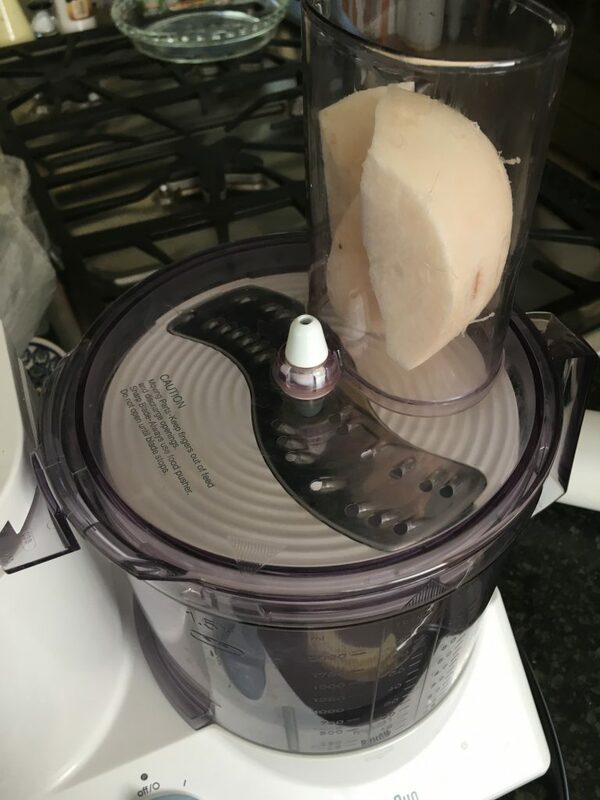 Grate jicama and cabbage with grater attachment in food processor. Add green onion and cilantro to cabbage and jicama in a large bowl. Toss lightly. 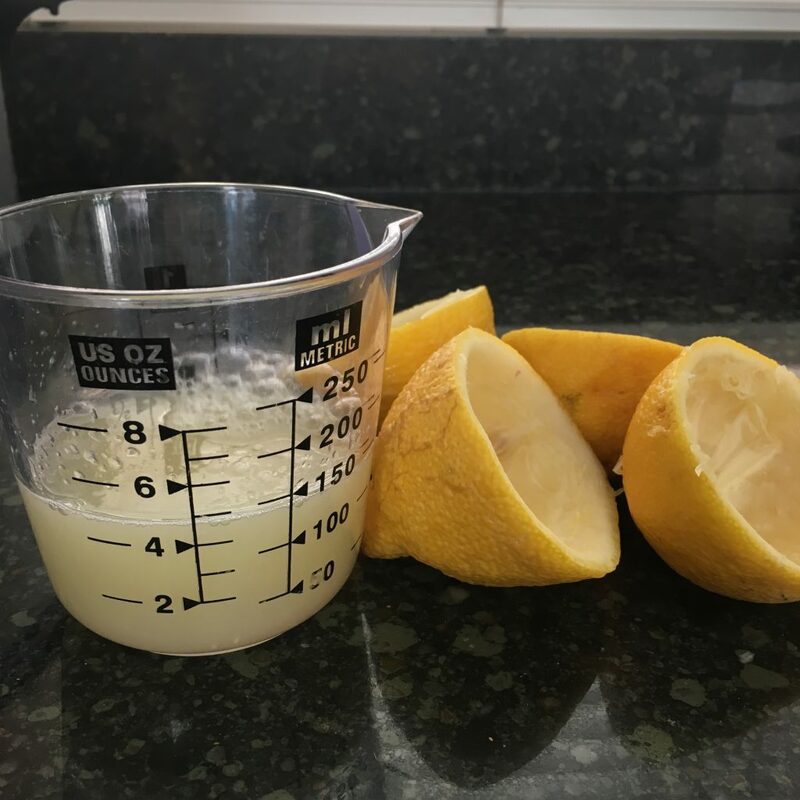 Mix lemon juice, olive oil, garlic, salt and pepper in small bowl. Add to veggie mixture. Fold gently until ingredients are well mixed. Add salt and pepper to taste if desired. You can serve the slaw and fish separately or in tacos or as a sandwich. 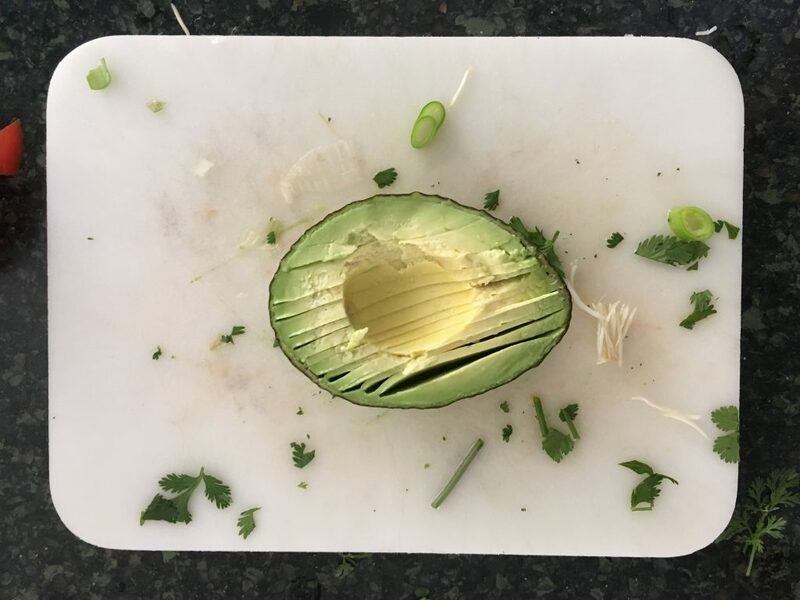 You could also add both ingredients to a mixed salad with sliced avocado on top. Want more delicious seafood recipes? Check out these posts. Seafood Recipes…For Pregnancy and Beyond!